Very Nicely Detailed Diecast Jeep! 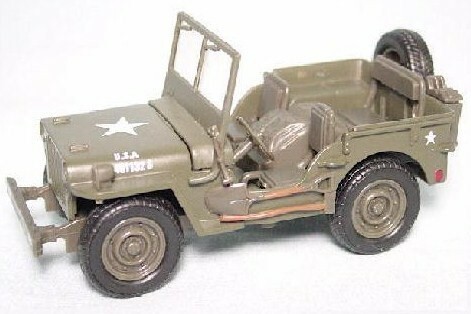 New Ray 1/32nd scale diecast metal WWII U.S. Willys Jeep. Very nicely detailed jeep with rolling wheels, spare tire, windshield. Comes in a window box for easy display, or remove base screws to deploy these on the battlefield! Very Nice Quality!